So you are exploring what there is in plus size fashion. You have hit a wall or are tired with your usual go to spots. In your mind, there are no resources, yet you constantly see plus size women making it twerk, owning all their plus size glory. Well, have no fear I am here to help you out. You see. In the four years that this blog has been alive, I have fashioned quite a few posts on plus size shopping, how to shop, and understanding the new platform/ arena in plus size fashion! So, before you read on, please bookmark this page, as I am sure you will come back to this, as I will share with you the most important posts from the blog as it pertains to shopping, the community, and how to make it all work! BUT, before you do, because I am always asked this, please make sure you check out the Plus Size Boutique Directory and my Favorite Plus size retailers and designers to shop from! Click the box you want to visit! Are We Trapped in our Own Stigmas? We often, as plus size women get frustrated and push for things to change, but as they do, sometimes we do not support those positive changes! Here I ask and post the question! Do We, as Plus Sized Women, Want Nice Things? I read your comments, marinate on those concerns and then I digest and share my thoughts with you! GREAT comments here! A Plus Size Woman’s Guide to Shopping: A round up of the 7 key items that you should have in your closet and invest in! Plus Size Denim 101: Jeans are the scariest thing next to bathing suits for all women, not only plus size! 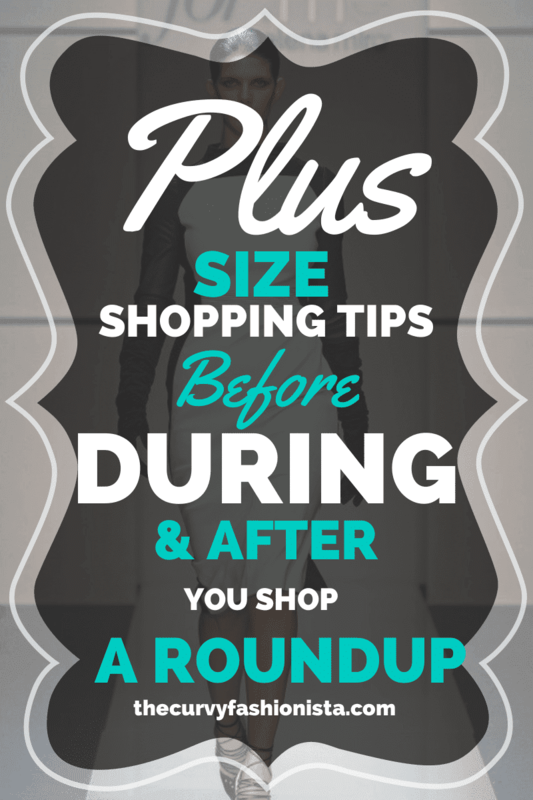 I share a few terms and tips to know while you are shopping! How to Determine Quality in Plus Size Clothing: Why does this designer cost X? Is it worth it? Why does it fall apart? I touch on these and more in this post! Plus Size Fashion Advice to Forget: Guest Blogger Nigel got the conversation rolling with the three pieces of advice to toss out the door! Re-read and join the convo! Don’t forget to subscribe to the blog to keep up with the latest in plus size fashion and lifestyle! I Have a Secret and a Confession: Here I share with you my own personal shopping thresholds. I barely pay full price- NOT to be confused with being cheap! Take a read to learn why! If You Dream About It, Make it Yours: I have my personal guide to help me avoid having a closet full of nothing to wear and I share with you what I look for to move in on the buy. What I Consider Before I Make a Purchase: I am a particular shopper. Sometimes to a fault. But in this case, I think its great as it helps me help you! Here I share with you my thinking process! The Top Fashion DO’s for Plus Size Women: we are always hearing the don’ts for plus size shopping, here I share a few do’s to help you along! 10 Tips for Shopping in a Plus Size Internet World: Shopping online can be frustrating as most plus size options are online only. Here I give some tips to help you through! Rocking Plus Size Shorts in the Summer- Do you Dare: We talk about plus size shorts, the fits, and the cuts. Have you been afraid of this? Check the comments for this really good convo! Poised, Polished, Professional: Wear to Work Tips: Have you ever wondered what is business casual, why this dress code, or where to buy? I answer these and share some tips as you build the work wardrobe! BUT then, I fancy a post right after this with the plus size wear to work essentials! Petite and Plus Size: I heard the cry! I rounded up the tops places to shop for cute petite pieces! Coming soon- Tall! Beyond a 3X? I did a roundup and the readers left comments of all the cool places that offer fashion and style for those you above a 3X! So after you have read these, caught up some key posts, I hope that you are set to delve into the plus size fashion world! What do you want to learn more about? Have I missed a topic that is near and dear to your heart? Sound off, I want to know! I got my easter weekend reading all in here . WOOT! Soooo how did it go?